For nearly three decades, Infosys had been used to one-way communication with employees through 'town hall' meetings and InfyTV, an internal network. Last year, it realised that would just not do; employees wanted two-way communication. And so it delved into the doctrine of Eric Berne, a psychiatrist who came up with the 'parentadult-child' theory that explains how people articulate their character through behaviour. 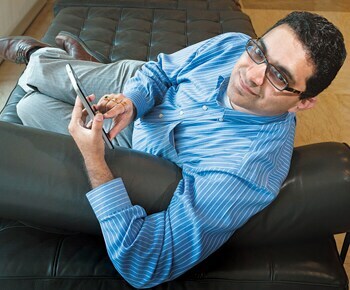 Next, Infosys changed its communication with employees from 'parent-child' to 'adult-adult'. It also introduced Infy Bubble, a Facebook-like social networking platform. Executive Co-Chairman Kris Gopalakrishnan is a regular on it. And attrition is down from 17.5 per cent in the quarter ended December 2010 to 15.4 per cent in October-December 2011. After the two joint CEOs exited in January last year and T.K. Kurien took charge, Wipro was not exactly teeming with happy employees. "Why Kurien?," shouted some angry voices. "We have seen the company grow from $40 million to $5 billion. How can they do this to us?" sobbed those who had been given pink slips. But there was also a group whose roles expanded. "The change is much needed," they said, fists clenched in determination. With time, as positive results poured in, the change advocates burgeoned. Role overlaps made way for clarity of roles, goals and objectives. Accountability increased. The treasured employees were retained through 'bubble assignments', which gave them more to do. 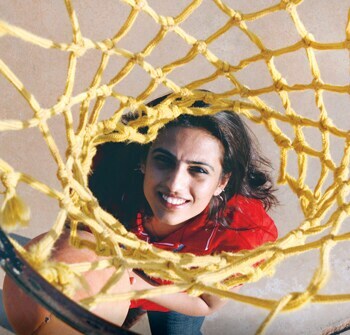 Soon after joining IBM, Deepa Kedoor visited a government school in East Godavari district of Andhra Pradesh. That was when an eight-year-old boy came up to her and said he would like to join IBM when he grew up. It filled her heart with so much pride that she has not thought of leaving the company in five years. "The incident showed the kind of involvement my company had with this school in a remote village," says Kedoor, now a manager at the corporate social responsibility division in Bangalore. IBM believes that a sense of purpose drives an organisation more than money, says Chandrasekhar Sripada, the HR Head. So, while its employees will not bust industry salary charts, there is no shortage of opportunities and diversity. And then there is the pride that moved Kedoor. 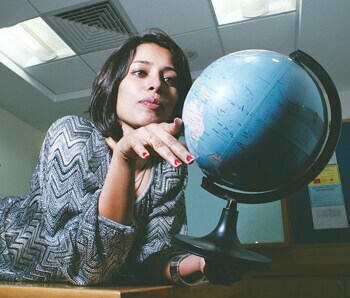 Joji Sekhon Gill, 45, considers herself lucky to be with Microsoft India. Other than being its Senior Human Resource Director, she has two critical responsibilities: a three-and-a-half-year-old daughter and an ailing 87-year-old father. So there are days when she comes to work at eight in the morning and leaves by 3.30 pm. Some of her colleagues do that every day. But Microsoft India's appeal does not end with flexible hours. It helps - even encourages - employees to develop skills which may have nothing to do with their work. 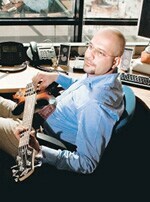 For instance, Ankur Arora, a Solutions Specialist, has formed a music band with four colleagues. He believes a people-friendly organisation should be able to tell its employees: "You are doing a great job and enjoy your life." Arora does. Googlers, as the employees are called, joke that they gain weight after joining the company. They would, given the sumptuous meals - on the house - Google provides. But Google is also about the mind, and the 'breakout rooms' - rooms where Googlers go to 'think' - cater to just that. Upon emerging from the room, they may ask for a drastic change of role, say from product engineering to human resources, and the request could be entertained. The change sought can include a shift to another city, or country. Amid the changes, says Jayashri Ramamurthy, Head of People Operations, Engineering and Products for Google India, the intent is to keep the 'small company' feel intact, despite the scorching growth. Anil Ambani loves the brand, Big. He has associated it with a number of offerings from his group: from multiplexes to radio. Little surprise, then, that employees at his telecom arm, RCom, talk about thinking big. The company puts its money where its mouth is, sponsoring a good idea from an employee from start to finish. It also allows employees to move across functions. Its tablet PC has not exactly killed the iPad, but to its credit the company took just six weeks to put it in the market. Its campus in Navi Mumbai has 10 food courts, an upmarket gymnasium, a lake and a temple. Manoj Biswas, the India head of human resources at Accenture, used to be a Major in the Indian Army. Naturally, his speech is peppered with references to his previous career. He insists that all the practices known to modern industry - training, re-skilling, career development, counselling, psychological interviews and psychometric analysis - are practised by the Army. Biswas has 'operationlised' some of those at Accenture and added some unique ones as well. Two of the unique ones stand out. One is an adoption leave policy, on the lines of maternity leave. The second allows an employee to donate 'hours of work' to a colleague who needs to be on extended leave because of an emergency. And every employee has a career counsellor. Sheetal Sawhney runs a programme called Art Box at HCL Technologies, in which she tells her colleagues how to pursue their passion. Starting with 100 people, Art Box is now overflowing with 1,300. This following the passion can at times be injurious to health. D.K. Srivastava, Senior Vice President of Corporate Human Resources, once walked into a meeting with blood dripping from his hand. He had just attempted a critical catch on the cricket field and split his webbing. But the technology focus is intact. The company has been growing rapidly and getting into new areas like cloud computing and software for smartphones and tablet computers. Therefore, it has been picking people who are passionate about technology. An employee earns points when appreciated by colleagues, which can be redeemed for goodies. L&T has a problem. According to M.S. Krishnamoorthy, the company's VP (Human Resources), it has strong rivals in electrical and automation, from where it can poach good talent. "But in engineering and construction and heavy engineering, few do the kind of work we do. So we have to train leaders from within." Therefore, IIM Ahmedabad and the University of Michigan's Stephen M Ross School of Business have been roped in to give leadership lessons to the deserving among its 50,000 employees. "In my four-and-a-half years at L&T, I have worked in design, on the shop floor and now in business development. 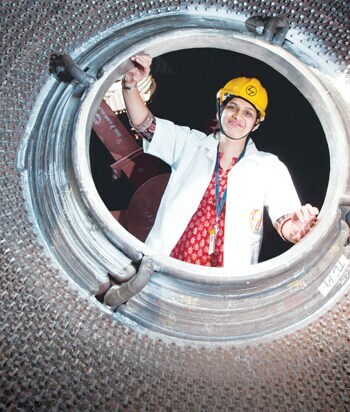 I don't think I'd have got this varied experience elsewhere," says Aditi Paradkar, a 26-year-old engineer, who is poised to join the leadership course.